Bull City Mutterings: A Stretch That Sets Virginia And North Carolina Apart! A Stretch That Sets Virginia And North Carolina Apart! Recently I made a quick road trip up I 85 from Durham where I live to Washington DC and back for an overnight visit with my daughter who was attending a legal conference there in her specialty field of healthcare law. I was reminded how much a 60-mile stretch of that superhighway running from Lake Gaston to Petersburg, Virginia, resembles a wooded country lane. Both the median and the roadside are continuously lined with towering mixed forests of deciduous and conifer trees, currently salt and peppered with flowering Dogwoods and Redbuds and separated from the roadway by only a gleaming strip of green turf. At the crowns the trees begin to canopy the road. There are no billboards or other forms of blight. But the astuteness of that Virginia stretch goes far beyond aesthetics. The trees also intercept storm run-off, scrub the air of pollutants, moderate the climate and attract talent. 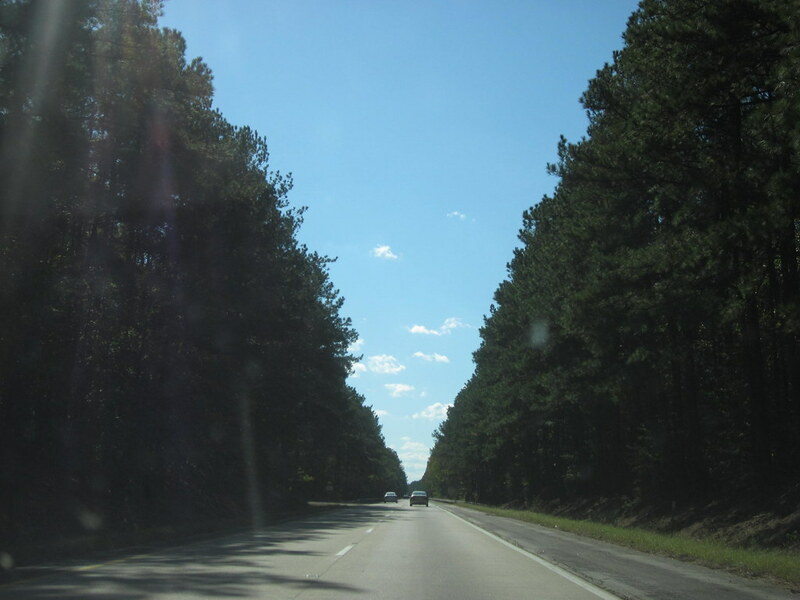 The sixty-mile stretch from Durham to the lake has only a few miles like that though because North Carolina has arrogantly clear cut the median of trees only to neglect or butcher roadside turf and has permitted billboards to line the roadsides. The contrast is stark and it is about to get worse if billboard companies are permitted to follow through with plans to expand clear cutting of trees in swaths the size of a football field in either direction of each sign thereby further blighting the first and last impression of travelers to and through North Carolina. As someone who spent the last two decades of a my professional career defending and promoting North Carolina, it pains me to admit that overall Virginia clearly does a much better job of creating a good impression than my adopted home state and, thanks to a give-away of hundreds of thousands of publicly owned roadside trees by the last legislature, that gap will soon widen. But I have a hunch that the 9 out 10 North Carolinians who object to the cutting of these roadside trees and the nearly 8 out of 10 who see billboards as a blight on our state will soon reverse this molestation and bring the state closer once again to delivering on its scenic brand promise.